"... a number of former judges of the Court have experienced difficulties in finding employment. In some extreme cases, these difficulties may, purportedly, be caused by an ’insufficiently patriotic’ position of judges taken on prominent cases against their own states. To put it plainly, an ’overly principled stand’ by a judge may entail an element of ‘revenge’ by national authorities upon the judge’s retirement. The risk of similar treatment for a serving judge may compromise judicial independence." The report, finally, also addresses concerns about the independence of the Court's support staff, the Registry, on the specific issue of staff seconded from state parties and on staff on temporary contracts. The report ends with a positive note - the Court as the crown jewel of the Council of Europe - but simultaneously remarks that on the specfic points dealt with there is still room for improvement. To set the context, the book first gives a brief but comprehensive analysis of property rights from Ancient Greek times until now. Subsequently, it compares the protection of legitimate expectations with its underlying principles in other legal orders. 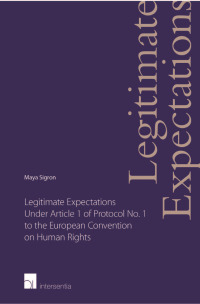 The book’s core addresses three main research questions: What are the conditions for the creation and protection of legitimate expectations in the context of Article 1 of Protocol No. 1? What role do confidence, detriment and fair balance play in that context? What purpose do legitimate expectations fulfil in the context of Article 1 of Protocol No. 1? To answer these questions, the author conducts an extensive analysis of the European Court of Human Rights’ case-law related to legitimate expectations under Article 1 of Protocol No. 1. On the occasion of this analysis, she collects and lists the main misunderstandings with respect to legitimate expectations in cases brought before the European Court of Human Rights under Article 1 of Protocol No. 1. The conclusion assesses the major results and paves the way for future debate about the doctrine of legitimate expectations under Article 1 of Protocol No. 1. 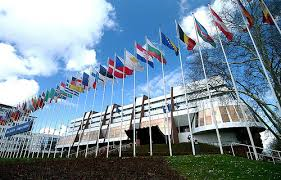 The Council of Europe has compiled a large document of over 500 pages which reflects the ongoing reform efforts regarding the European Court of Human Rights of the last few years. It is entitled 'The European Convention on Human Rights : Interlaken,İzmir, Brighton and beyond. A compilation of instruments and texts relating tothe ongoing reform of the ECHR' and is freely accessible online. It includes the key speeches and concluding documents of the three mentioned intergovernmental conferences, reports of the Steering Committee on Human Rights (CDDH), the texts of Protocols 15 and 16 and their explanatory reports. A very useful all-in-one compilation of the current state of affairs on reform. The newest updates on the reform work can be found, as noted earlier, on this dedicated website. The Center for European Law of the University of Bologna, in cooperation with King’s College London and the University of Strasbourg are organising their XIVth joint edition of the Summer School on the protection of fundamental rights in Europe. The Summer School, to be held in French and English, will be held from the 30th of June to the 4th of July in the magnificent venue of the Castle of Bertinoro. In particular, emphasis will be placed on the European Convention of Human Rights - the rights it guarantees, the system of protection it creates – and the European Charter of Fundamental Rights. In this context the relationship between the European Court of Justice and the European Court of Human Rights will be discussed. Full details on content and registration can be found here. "This guide is directed at lawyers intending to bring a case before the ECHR. The guide, which is a list of questions and answers, contains information and practical advice for proceedings before national courts prior to application to the ECHR, before the Court itself, and during the enforcement of the Court’s judgments. A number of questions are covered in the handbook, including: at what stage of proceedings before national courts should human rights violations be pleaded under the European Convention of Human Rights; how to submit an application to the Court; the technical aspects of proceedings; and the role of a lawyer once a judgment has been rendered. Also included are reference to tools and resources available for parties and their lawyers." On Friday 13 June, Oxford Brookes University and the Council of Europe are organising a conference in Strasbourg entitled 'Fundamental Rights in Europe: A Matter for Two Courts'. The event is meant to discuss and disseminate the research emerging from two projects. First, a study of the British Academy entitled 'Reflections on the Architecture of the European Union after the Treaty of Lisbon: The European Approach to Fundamental Rights'. Secondly, research as a result of an earlier conference with the same title which was held at Oxford Brookes in January 2013. 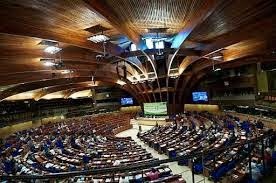 Te Strasbourg event is "addressed to policy makers of the Council of Europe, the Council of the EU, the EU Commission, and the European Parliament, judges of the CJEU and the ECtHR, and scholars working in the field of fundamental rights." The full conference programme as well as information on registration can be found here.